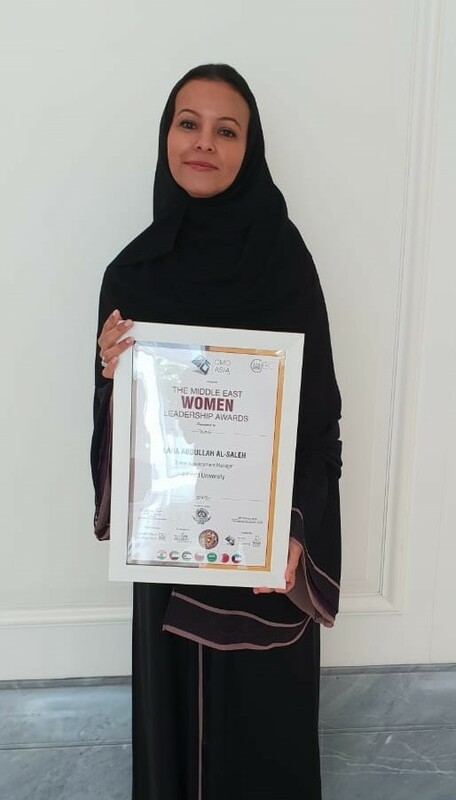 On the 4th October, 2018, Miss Lana AlSaleh, Senior Advancement Manager at Alfaisal University, was awarded ‘’The Middle East Women Leadership Excellence Award’’ and titled as one of the Middle East Women Leaders in a celebration held in Dubai. 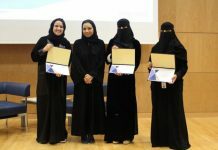 ‘’The Middle East Woman Leadership Award’’ is celebrated in several geographic region as a build-up to the ‘’World Women Leadership Congress’’. In its 9th year, the event celebrated some of the finest woman leaders & achievers in organizations which believe in producing leaders i.e, leaders of change, leaders who are iconic & foster talent management strategy alliance with the vision & the mission of the organization. 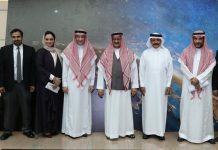 The criteria adopted in preparing the award shortlist of nominees, and selecting the final winner are: Building A Sustainable Leadership Pipeline in Organizations, Story Telling, Gender specific specialization at work, Empowerment, Social Change, Ability to Influence others, and Opportunities & Resources investment. We would like to congratulate Miss Lana on this achievement.